As Alaska anglers begin to move past the divisive political season and return to reminiscing about our best catches of the 2018 season and counting down the days until 2019’s first Chinook begin their migration, some might be wondering how the results of Alaska’s midterm election changes our ability to protect Bristol Bay and the places around Alaska that we love to hunt and fish. In some ways, little has changed when it comes to issues such as the proposed Pebble Mine, and we know these matters have always transcended party lines and will continue to. Despite the massive, volunteer-driven effort of thousands of Alaska fishermen, tribal and fisheries groups, and businesses, Ballot Measure 1, which would have strengthened current law to protect wild salmon habitat statewide and provide a higher standard that projects like Pebble Mine would have to meet, failed to get the votes that were needed to be put into law. Because the ballot measure did not pass, Alaska’s primary law intended to protect salmon habitat remains intact, and weak, as currently written. 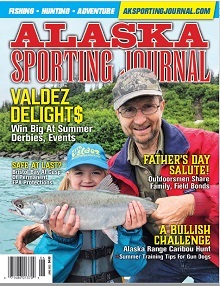 That said, Alaska elected a new governor, Mike Dunleavy, who will need to hear from anglers and hunters to ensure when the doors of Alaska are swung “open for business,” it includes keeping our fisheries thriving and our public lands in good shape. Hunters and anglers need to remind the incoming administration that our rivers and public lands support growing fishing, tourism and recreation industries, and that one industry should not compromise the health of another – Pebble Mine being the number one example. The silver lining for the failed ballot measure? In speaking with thousands of Alaskans during the years of hard work and dedication that preceded the election, one thing became and remains crystal clear: Alaskans agree protections for wild salmon are needed and that many, many people do not want to see Pebble Mine developed. While we learned during the election that the ballot measure wasn’t what Alaskans wanted, we also learned in the process with respect to our salmon we have more in common than we differ. In the case of protecting the Bristol Bay fishery from the massive threat of the Pebble Mine, the fight is far from over. The path to protecting this region is multi-faceted and there are many opportunities in the year ahead to help stop Pebble from becoming a reality. Alaska anglers and outdoor enthusiasts from around the country have done a lot for Alaska’s fisheries – the best example being that there isn’t a massive hole in the ground at the headwaters of the world’s greatest sockeye salmon fishery! We continue to hold the power of shaping a fish-filled future for Bristol Bay and Alaska. This is true regardless of who is in office. Trout Unlimited and our network of supporters will continue to work diligently to stop the proposed Pebble Mine, strengthen protections for critical fishing areas and ensure the rivers and places that Alaskans love to fish continue to thrive for generations to come. Editor’s note: Jenny Weis is the communications and digital advocacy specialist for Trout Unlimited’s Alaska program. Go to tu.org/tu-programs/alaska for more info.